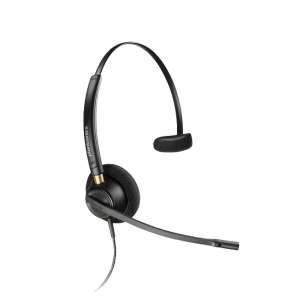 Call Center Headsets - Headsets Direct, Inc. 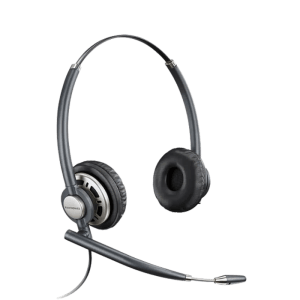 Experts in Call Center Headset Performance: There’s a reason most call centers use Plantronics headsets: They have been designing unsurpassed equipment tailored to call center needs for decades. Plantronics has made the headset of choice where performance and reliability are critical, from demanding business environments to emergency response centers and the Federal Aviation Administration. More importantly, they understand contact centers and – as a result – insist on the highest standards of flexibility, call clarity, and dependability for their headsets. The following headsets are designed to help you decide which of our models will be a perfect fit in your organization, and to provide all the information you need to get the most out of your Plantronics investment. The Plantronics EncorePro headset family brings new standards in all-day comfort and reliability to call center professionals. Enhanced receive-side audio quality, intelligent flexible boom and stylish design provide greater headset flexibility. 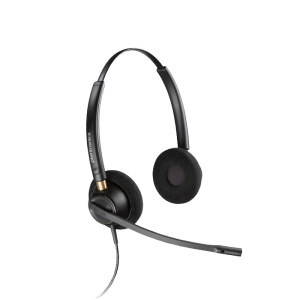 EncorePro offers monaural or binaural versions, voice tube or noise-canceling microphones and is compatible with Plantronics amplifiers and USB-to-headset adapters. With more than 50 years of experience, Plantronics has long been the leader for call centers around the world. They’re reputation for reliability has made us the partner of choice for companies where performance is critical and dependable technology is a must. People depend on our headsets, whether the need is business critical or mission critical. Our variety of wearing styles will suit anyone’s preference, and all headsets are designed for all-day comfort. As call centers work to provide an ideal communication environment for their agents and customers, there are a number of questions that need to be answered before choosing a headset that provides truly superior sound quality. Does this headset ensure that the background noise is as low as possible compared to the speaker? Does it enable both parties to communicate with complete transparency? Does it reduce background noise when the speaker is not speaking? Does it offer protection against sudden, overly loud noises? Does it ensure that the output signal matches the input signal? Does it closely imitate the experience of face-to-face speaking and listening? And lastly, is this headset made by a company that has demonstrated a commitment to providing top quality sound technology? 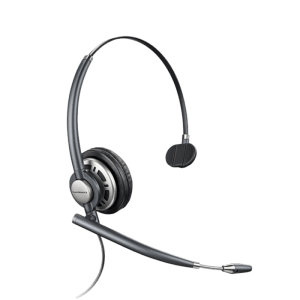 Only by choosing a headset that provides the highest possible sound quality, can businesses increase the overall effectiveness of their call centers, ensuring higher levels of customer satisfaction and helping to grow their bottom line.